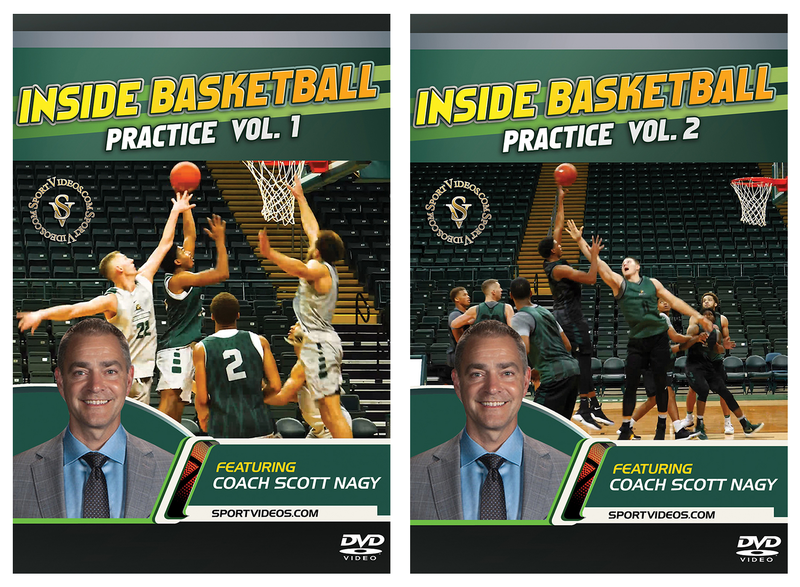 Volume 1: Get an inside look at a Division I college basketball practice with Wright State University Head Coach Scott Nagy. This comprehensive practice session covers a multitude of skill building activities that could make the core of several practices. Among the numerous skills and drills covered are: Full Court, Charge Drill, Celtic, Shell Drill, 5 on 5 Rebound, 4 on 4 Half to Full, Motion Offense and much more. This DVD is an exceptional resource for basketball coaches or players at any level of competition. Volume 2: Get another look inside a Division I college basketball practice featuring Wright State University Head Coach Scott Nagy. The comprehensive program covers a wide variety of drills and competitive scenarios. Among the topics covered are: Player Development Drills, 4 Corner Passing and 3 Man Weave, Celtic, 2 on 2, 3 on 2.5 Rebounding, Pop, 4 on 4 Dribble Drive, 4 on 4 Ball Screens, Transition, Half Court Offense and Defense, 2:00 Minute Games and Late Game Situations. This DVD is an excellent resource for basketball coaches or players at any level of competition. 108 minutes. 2018. Scott Nagy has been the head men’s basketball coach for Wright State University (WSU) in Fairborn, Ohio since April, 2016. Nagy came to Wright State after 21 seasons at South Dakota State University (SDSU) in Brookings, South Dakota and compiled an overall record of 410-240 (.631). Scott Nagy played basketball collegiately at Delta State University in Cleveland, Mississippi, where he currently holds school records for most career games played and most assists in a career (549), season (234) and game (15).